Last Tuesday, when I was speaking about my research on the church in South Sudan, I showed a picture of one of my interviews. It shows the interview subject, an older woman named Mary Aruay, surrounded by a small group of other people who are listening intently, including my translator, John Jurkuch. Mary Aruay was in the midst of sharing her incredible story of evangelism and church planting in the middle of civil war in the 1980s and 1990s. The scene in that picture recurred throughout my research interviews. Interviews became not simply about the conversation between the subject and me but also about the group of people who would gather around us, sometimes to listen, sometimes to interject their own views, and always (as I was) to be shaped by the experiences of those who have gone before. Stories form communities. That should be obvious to anyone who has read the Christian Bible. The story of the Exodus formed and shaped the people of Israel, as did the experience of exile in Babylon. As I teach on the Gospel of Luke, I am struck by the way in which Luke skillfully weaves together stories of the Hebrew Bible with the stories of Jesus’ ministry to produce a coherent understanding of the church God’s people are called to be. In Acts 7, the disciple Stephen re-tells the story of the Old Testament in a way that helps him make sense of who Jesus is and the implications that has for all people. As Stephen’s example indicates, stories can be dangerous. Shortly after telling this story, he became the first martyr. And even if stories don’t lead to death, they can certainly disform communities. We can no doubt think of political leaders who root their success in stories that appeal to resentments and fears with little sense of hope or transformation. More personally, I can think of unhealthy communities I’ve been a part of that were formed by misleading and damaging stories. When you think of a church community that you are a part of, what is the story that is forming it? Is it a story rooted in the past? Is it rooted in the concerns of the present? Is it a story that makes room for the future? A core part of Christian leadership is the ability to help a community root its own experience in the story of Christ’s life, death, and resurrection and so be formed into the people God is calling them to be. To do that, however, we must first understand the story that is being told in our midst so we can work to shape and re-tell it in a way that leads to life, faith, and growth. May we be formed by the story of Christ and share that story so it forms others as well. This reflection was written by College Principal Jesse Zink for this week’s Wingèd Ox, a community news digest named for our patron, St. Luke, and published weekly during the term on Monday. 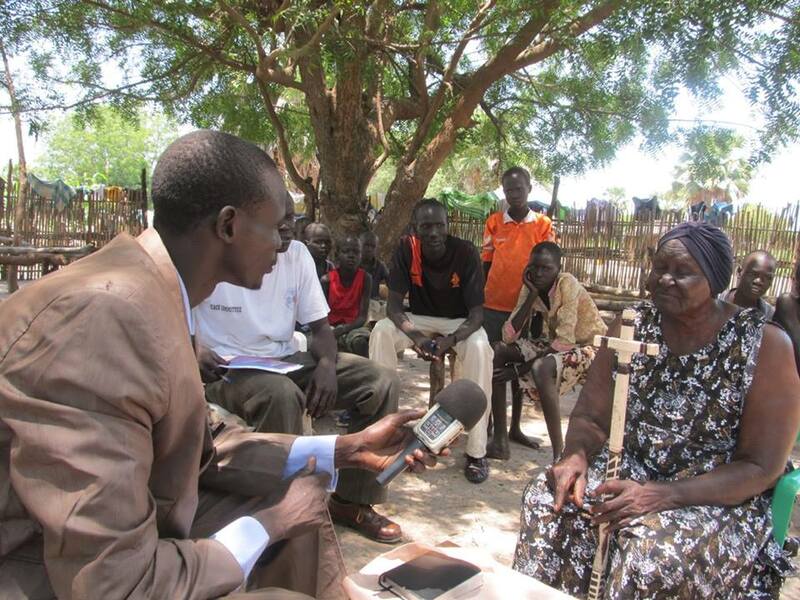 Photo of Mary Aruay interviewed by Jesse Zink in South Sudan.